We did a complete retrospective of the 2005 vintage in March 2015 and re-tasted the open bottles recently. The result is simply staggering. Every year since 2010, we have been doing what must be the largest 10-Years-After retrospectives of Mosel Riesling anywhere in the world, re-tasting up to 150 wines. In early 2015, we focused on the 2005 vintage, and re-tasted 150 wines from the 2005 vintage from all leading producers. 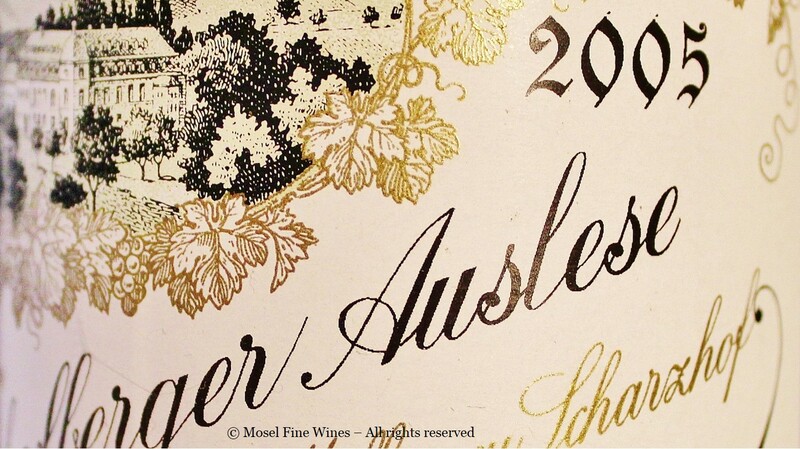 The full results were published in the Mosel Fine Wines Issue No 27 (Mar 2015). The conclusion was simple: 2005 proved to be one of the most exciting vintage we had re-tasted to date, with many modern-day legends in the making. 2005 Vintage | Open Bottles Gaining in Presence after 6 Months of Airing! Over the last weeks, we revisited the bottles of the fruity and dessert wines (which had been opened since 6-9 months!) and were quite frankly bowled over by the result. Not only did the wines retain their freshness, in many instances, the wines had actually even GAINED from this extensive airing! 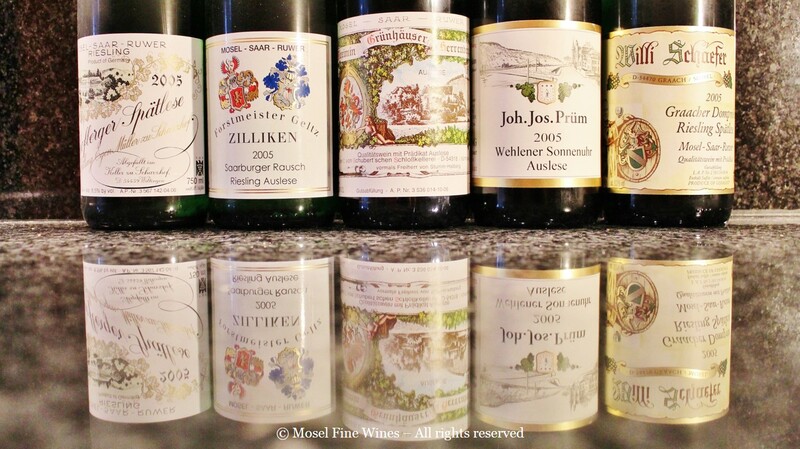 This concerns in particular the prized auction lots of Weingut Geltz-Zilliken, Weingut Joh. Jos. Prüm and above all Weingut Egon Müller. But also other wines that had been rather closed, among others by Weingut Reinhold Haart, Weingut Willi Schaefer, Weingut von Schubert or Weingut Karthäuserhof were now dancing on the palate, with great scents of almond and ripe fruits playing with one’s senses. 2005 Vintage | Set to be even more Magical than Magical … for Those Who Can Wait! The remarkable thing is that this positive evolution seems to be a common thread to all top fruity-styled and dessert wines of the vintage. We were already quite excited about the 2005 vintage but it seems that it has even more in store for who has the patience to wait. So please, keep your bottles to be able to enjoy these beauties at maturity, and should you not be able to resist the temptation to open one soon, do not be afraid to give these wines as much air as you dare before enjoying them! More generally, we take this opportunity to draw the attention to the greatness that Mosel Riesling can achieve with aging. Mature Mosel is one of the greatest pleasures of the wine world and we dedicate a full Issue every year to this topic. If you are not familiar with this, you may want to start learning about the maturation phases which Mosel Riesling goes through. So enjoy the read and try to hold on to your bottles (in particular your 2005s) accordingly!